Good ideas don’t grow on trees. The good idea behind this post was stolen from author Barry Reese‘s blog. A top ten of my favorite pulp characters. I normally say that I came to the pulps in a very circuitous way – but the fact is, I’ve been reading pulps for most of my life (say, the last thirty six years), only I did not know it. 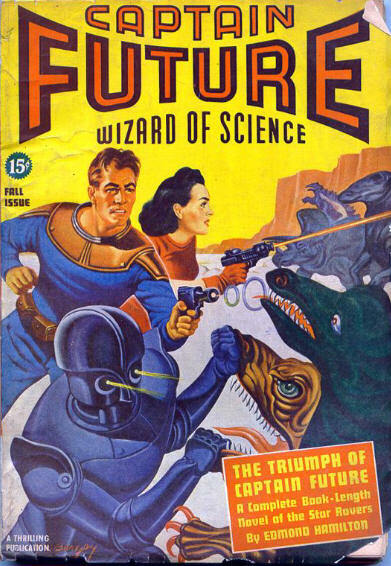 Starting at the age of ten, with Jack Williamson’s The Legion of Space, I read a lot of old SF – stuff that was published in pulp magazines like Astounding, or Amazing. Then, when two or three years later I discovered fantasy (through the books by Lyon Sprague de Camp), I started reading things that came from Unknown and Weird Tales. And what about TinTin comics, or Terry and the Pirates? 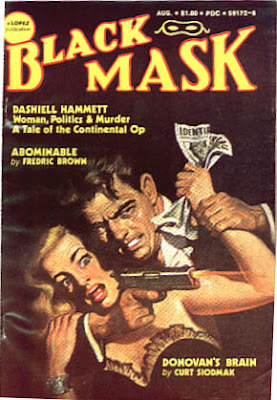 What I really missed until much later were “proper” hero pulps – The Shadow, The Spider, Doc Savage etc. I was more of a strange worlds/exotic locales sort of reader. As a consequence of my reading history, my top ten heroes list is strange. And there’s still a lot of characters I have to read seriously – next on my list is Henry Kuttner’s Thunder Jim Wade. Such was the amount of solid fiction published by pulp authors, there’s truly a world worth exploring out there. Categories: Books | Tags: Barry Reese, Doc Savage, Edgar Rice Burroughs, Eric John Stark, Johnny Weissmuller, Legion of Space, Northwest Smith, postaweek, Robert E. Howard, Russell Thorndike, Shadow | Permalink.